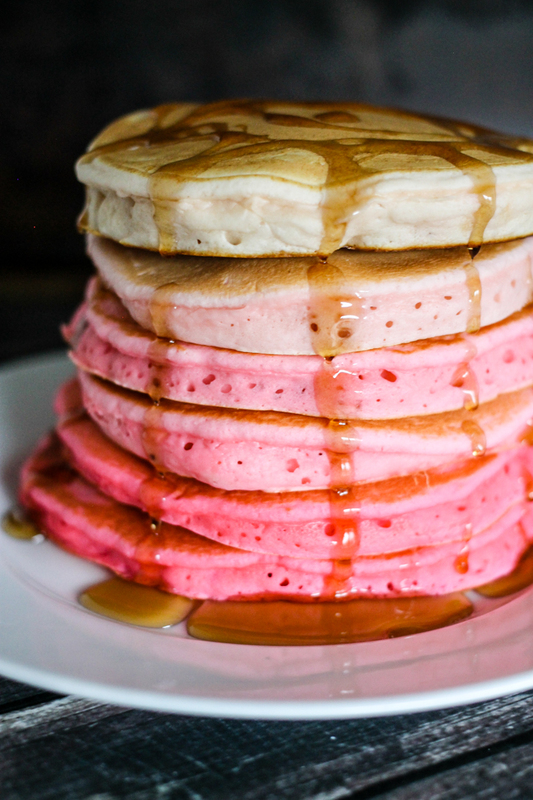 Pink Ombre Pancakes are simple to make and such a pretty breakfast! 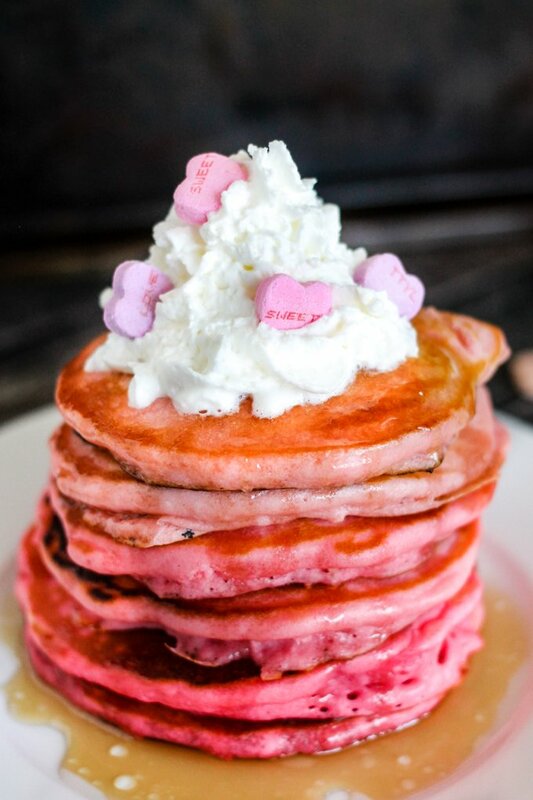 Serve them for Valentine’s Day or any occasion! Prepare pancake mix according to package directions (or make homemade). Using 3 small bowls, divide pancake mix into 3 bowls evenly. In the first bowl, add a small drop of food coloring, in the second bowl, add a little more, and then a little more to the third bowl. Mix with fork to combine. 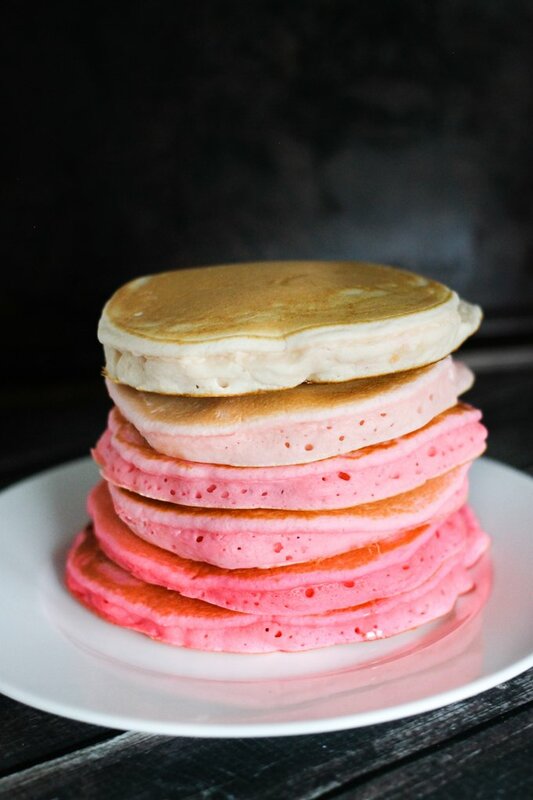 Preheat a griddle, and pour 1/3 cup of pancake mix onto the griddle; repeating for all shades. When pancakes are bubbling, carefully flip to the other side. Cook for 30 more seconds, remove. 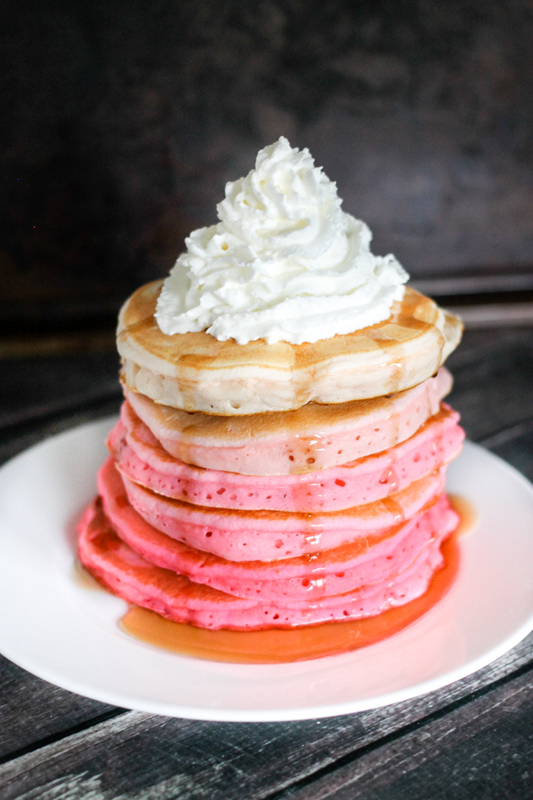 Stack 2 of each shade on top of each other, then drizzle maple syrup on top and add whipped cream. Add conversation hearts if desired. Valentines day is the perfect occasion! 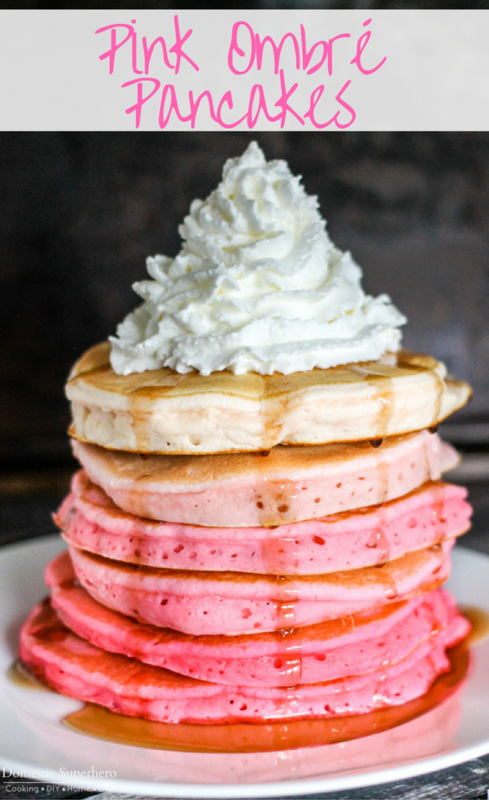 Serve them at a breakfast birthday party! Cook them up for your sweetie on your anniversary!